As I weaved my way past walls covered with stunning street art and skateboarders showing off their tricks in Place de la République, one of Paris’s open-air public squares, I stumbled upon Fairpride 2015. 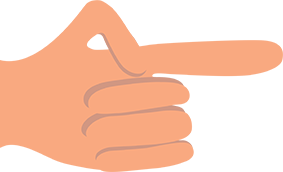 Fairpride is the largest French festival dedicated to fair trade, citizen engagement, and the environment, and showcases dozens of artisans, non-profit organizations, musicians, artists, and chefs committed to creating a fairer and more sustainable world. 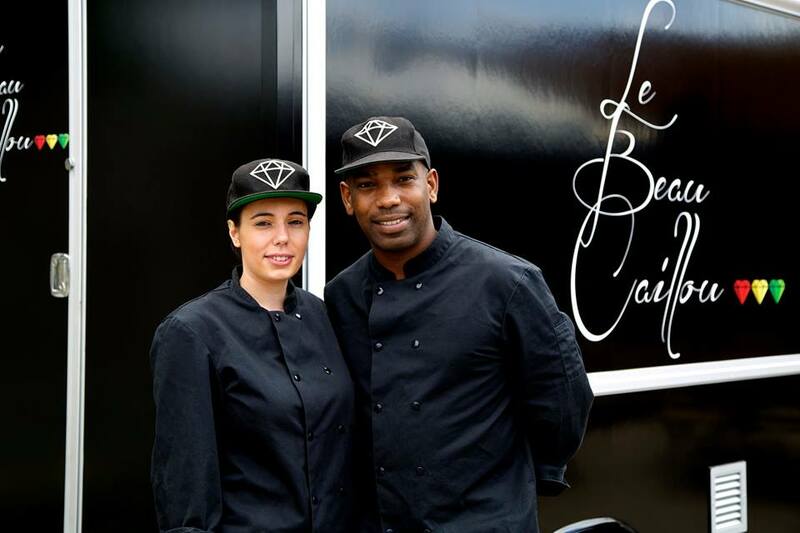 Two of the chefs in attendance, Nicolas Myrtil and Ophélie Rouffiac, joined forces to bring Paris its first Caribbean food truck, Le Beau Caillou (The Beautiful Pebble). Le Beau Caillou truck was created to celebrate the rich history of Caribbean cuisine, while at the same time be conscious and forward-thinking. 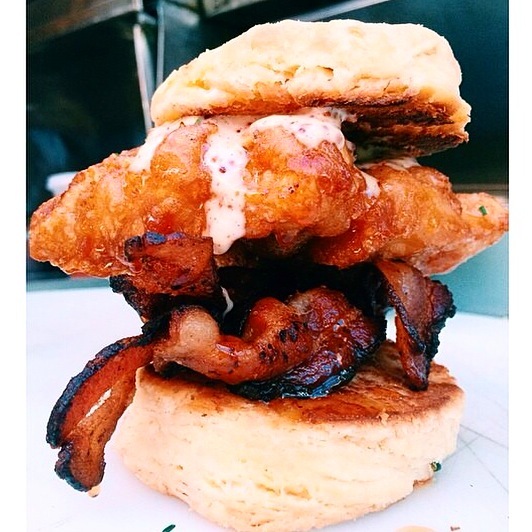 Like all the vendors at Fairpride 2015, Le Beau Caillou uses fresh, locally-sourced, organic ingredients to show by example how it’s possible for a food truck to help create a fairer and more sustainable future. 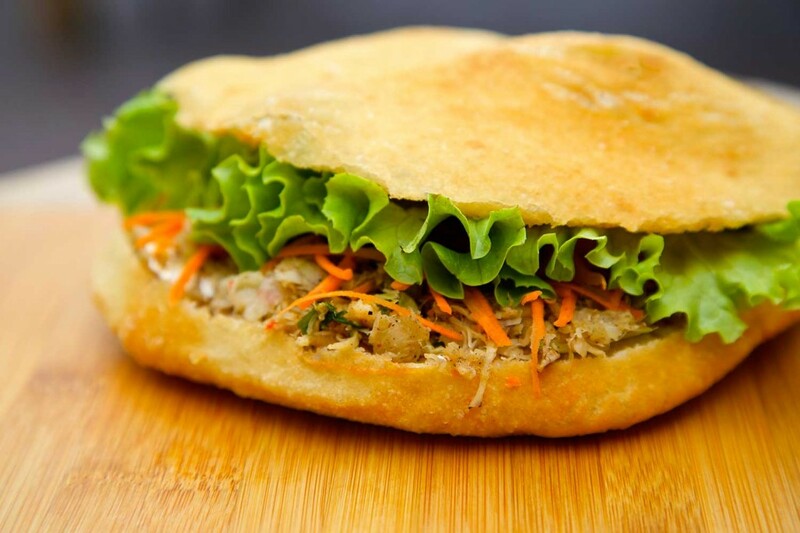 Le Beau Caillou’s main specialty is the bokit, a sandwich native to the Caribbean island of Guadeloupe. Instead of bread, a bokit is enclosed between two flat corn-flour cakes derived from Caribbean and Colonial influences. These corn-flour cakes were originally inspired by johnny cakes, a food commonly eaten by early New England colonists, because they wouldn’t spoil on long voyages. Due to the extensive trade networks between the American colonies and the Caribbean islands, johnny cakes were introduced to Guadeloupe, where they eventually became an island specialty. Since I’d never heard of bokits before – let alone tried one – I ordered two—Le Sainte-Anne with cod and L’ilet Gossier with chicken covered in creole sauce. Both of the bokits were delicious, and in a league of their own compared to basic brown-bread subs. The flat corn cake tastes similar to corn bread, but is slightly chewier and doesn’t get soggy. I particularly enjoyed the creole sauce of L’ilet Gossier, due to my love for spicy food and its extra kick. The cod of Le Sainte-Anne was very well-cooked, and the sauce was mildly acidic, which complemented the fish well. Le Beau Caillou was such a hit at Fairpride that I didn’t get a chance to try bokits with homemade ginger juice. Instead, I deviated from inhaling bokits and ordered Les Accras de Mamie Henricia. 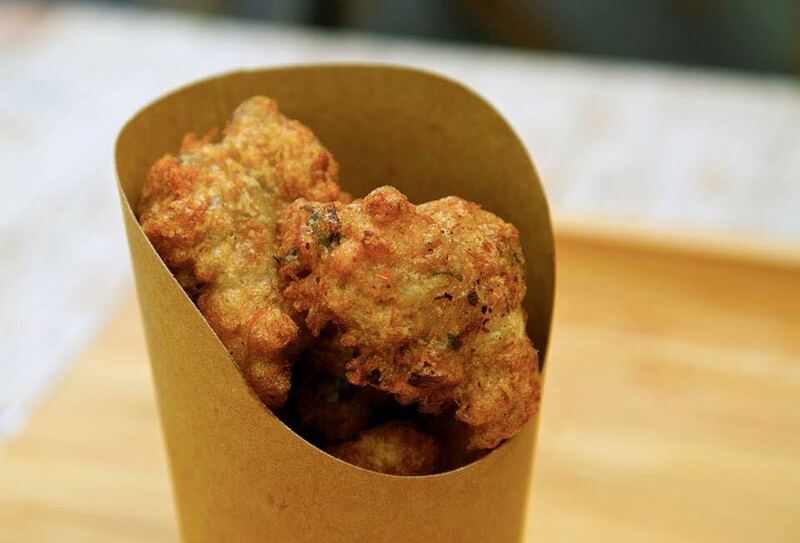 These fried beignets filled with cod, shrimp, and vegetables, typically served as appetizers, were simply excellent and it seems that I’m not alone in my affection for Le Beau Caillou’s masterpieces. 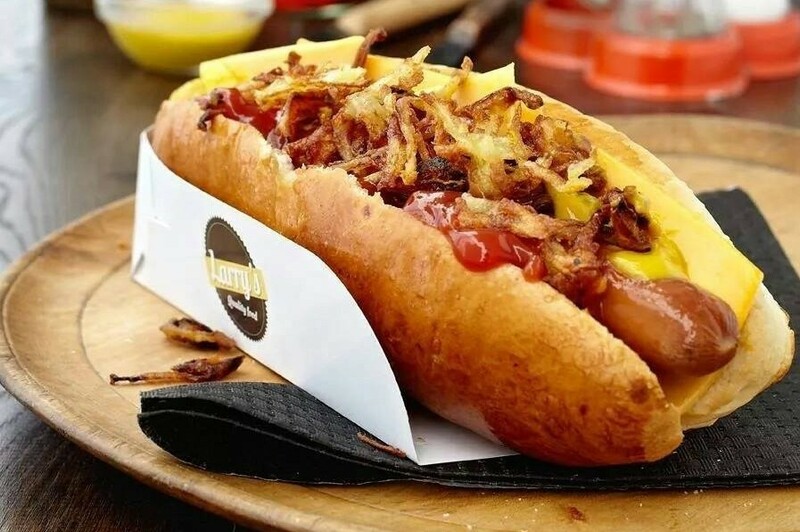 Le Beau Caillou’s high-quality Caribbean cuisine earned them second place in the Best Food Truck category in last years International Street Food Festival. A competition I am sure they will continue to dominate for many years to come.